Island guy Elliott Vecchia’s new movie Natural Selection is a skateboarding film shot around Boston and Lowell. In a trailer for the movie, a cast of skateboarders do what they do best. They fly on their boards over stairs, railings, grassy hills, buildings, clouds; it is as if nothing is beyond the reach of their wheels. They do this not in a sound studio or generated on a computer screen. There is no high tech, no instruction manual or team, no coach and most of all no boundaries. 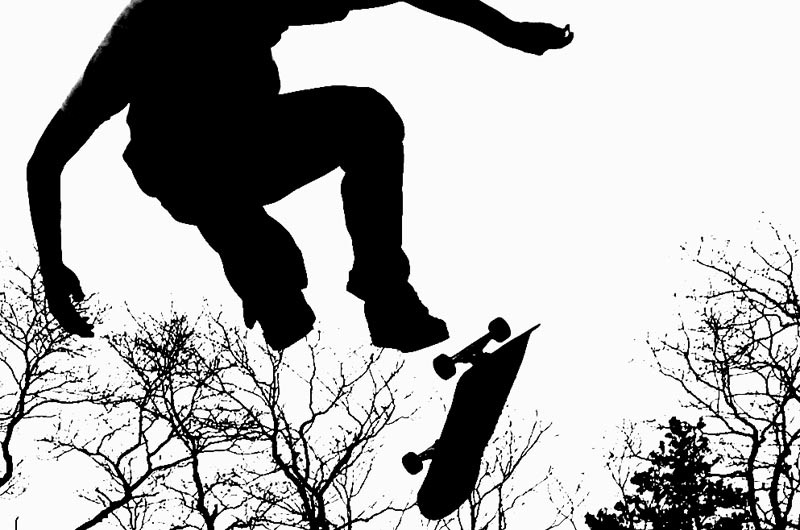 It is the ethos of skating. Use what the urbanized world gives you and make it your plaything. The movie will be screened at Dreamland in Oak Bluffs tonight, Jan. 25, beginning at 9 p.m. (doors open at 8 p.m.). The event, which includes live music by DCLA and the Hammerheads, is part of a 10-year anniversary celebration and fundraiser for the Martha’s Vineyard Skatepark. Most likely this was the place a young Mr. Vecchia first earned his bumps and bruises as he half-piped and ollied his way through puberty. It is hard to believe there was once a time on the Vineyard when there was no skatepark. The highly visible site, created by and for skaters, is both perfect in location and execution. The skaters oversee the park, taking care of upkeep and keeping the rules to a minimum. Safety counts but so does originality. Nervous nellies need not apply. The cost for the evening is $10. All proceeds and donations go to the MV Skatepark Fund. Just a slight correction. Admission is $10 for non members and $5 for Pit Stop members. I see that you already corrected the date.